As a police officer and as a sleep manager in the medical field, Frances and Chris are Texas heroes. Despite facing hard times, this couple continually gives back to their community and asks for nothing in return. Chris and Frances are married with a family of three young boys, ages 9, 6 and 5. However, soon after they married, Chris suffered a major heart attack. Doctors discovered he had been born with heart deficiencies that did not surface until adulthood. Since his heart attack, Chris has undergone two major heart surgeries that have placed a huge financial strain on the family. The family has worked tirelessly to overcome this hurdle and achieve their dream of home ownership. After Chris’ last heart surgery in October 2016, Frances and Chris worked hard to pay off their mounting medical bills and to improve their credit. They were making huge strides and finally felt they had turned a major corner as their debts dwindled and their savings increased. Home ownership was in sight when tragedy struck again. Chris was in a car accident that totaled their car. Although he walked away okay, the gap insurance they purchased did not cover the difference of what they owed and what the insurance would pay. 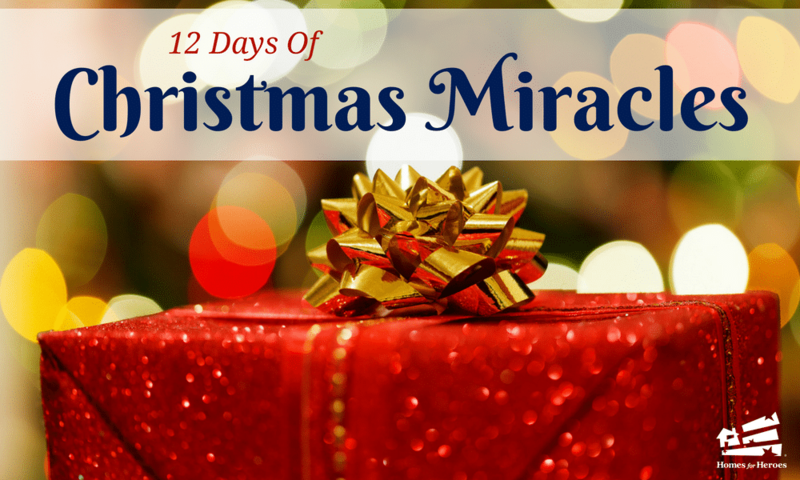 Christmas was approaching and they knew they would have to use their savings to pay off their totaled car in order to maintain their credit for a new home. 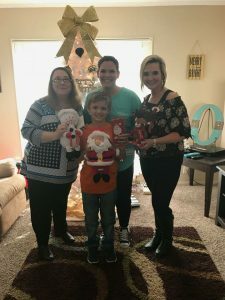 Homes for Heroes Specialists, Shannon Smith and Kim Jordan wanted to surprise the family with Christmas gifts, decorations, food and cash to brighten their holidays. Trying to surprise a cop is hard to do. With the assistance of Frances’ friend Brittany, they were able to lure the couple to Brittany’s house under the guise that they were coming to pick up baby donations for someone in need. The couple was truly surprised when they came home. Kim and Shannon presented them with gifts, food and cash on behalf of Homes for Heroes. This gift has given Frances and Chris hope and reminded them that their contributions they make in the community each day are valued. After the visit, Frances posted on her FB Page.